Sure! Of course I want to come a long for a Way Up run... What's a Way Up run? 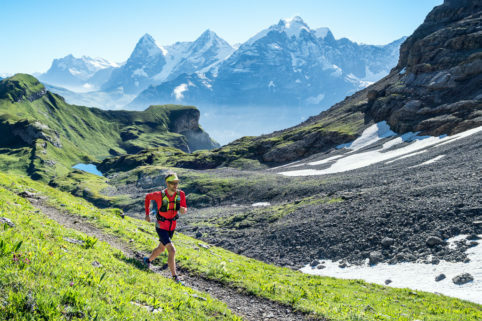 It's like a regular trail run, but longer and higher, with more gain, and it'll totally wear you out. 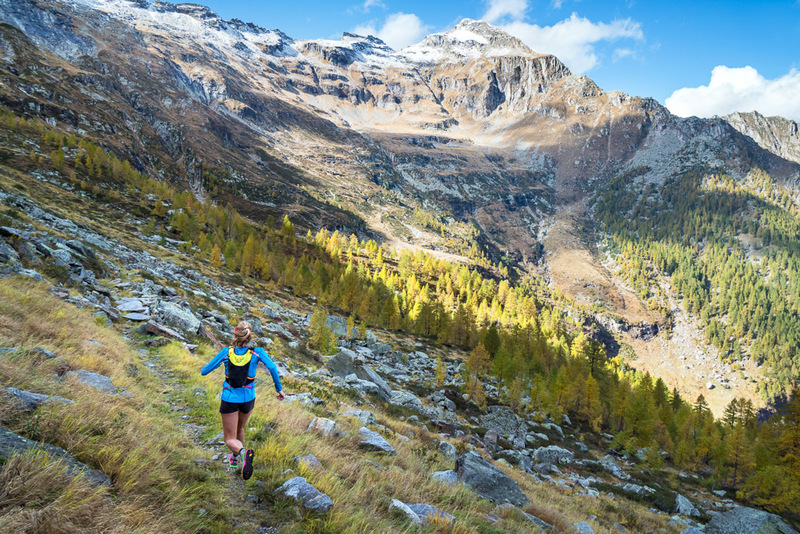 And so we headed off to Ticino to run up Monte Zucchero. 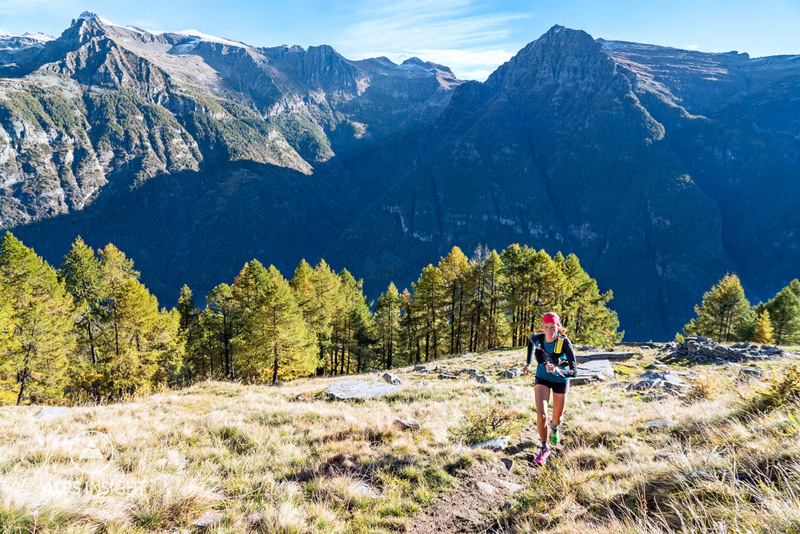 Located in the Valle Verzasca, this is a wild run in a quiet region of the Alps. Traditional, gray Rustici, stone farm houses, dot the hillsides and goats graze in the high terrain. You may even have the summit of Monte Zucchero to yourself. Despite being the second-highest in the region, it’s less often summited than nearby peaks. The trail makes a steep climb and a little scramble to the summit. The downhill side of the mountain is rolling with vast traverses, but still challenging, alternating luxurious, grassy cruising with rock-hopping up and down small rises. All the way weaving through tall tawny grass and golden larch back down to the river in the valley below. 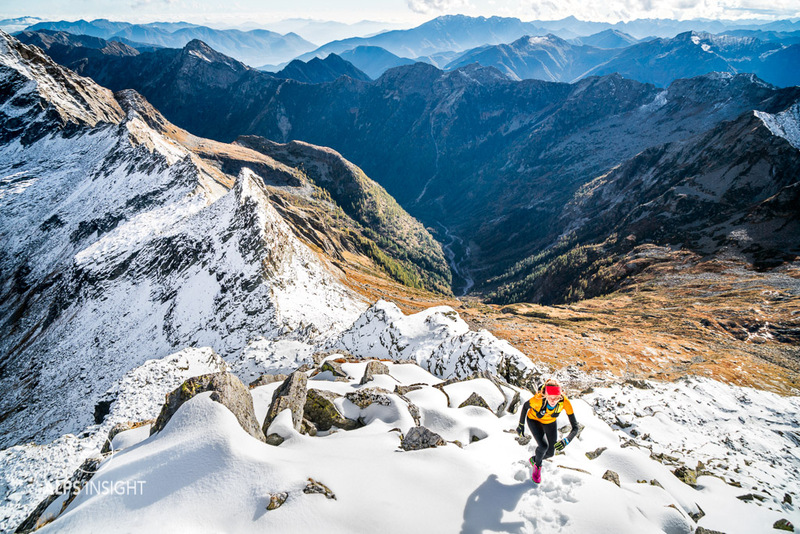 When we pawed our way through early autumn snow to reach the peak, we noticed we had over 2500 meters of vert for the the run... that's a big day. That's a Way Up. And that was the start of tons more running together. 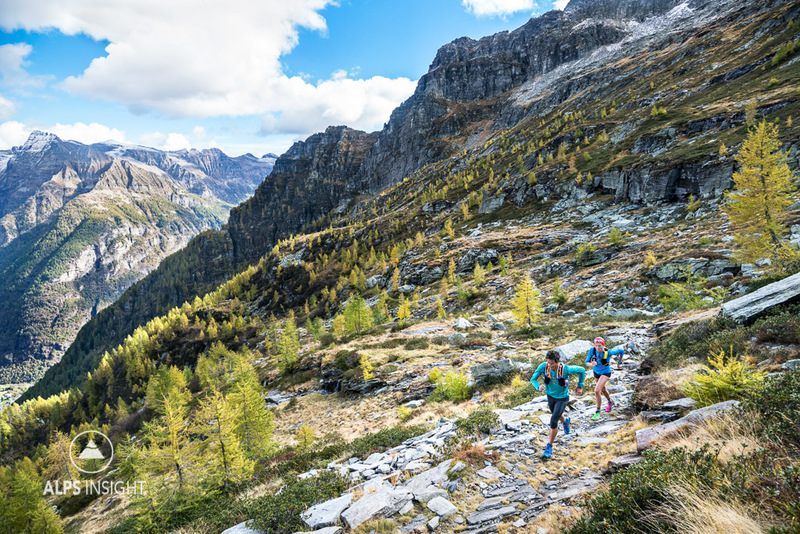 Visit our ALPSinsight Trail Running Ticino’s Monte Zucchero for the full story. 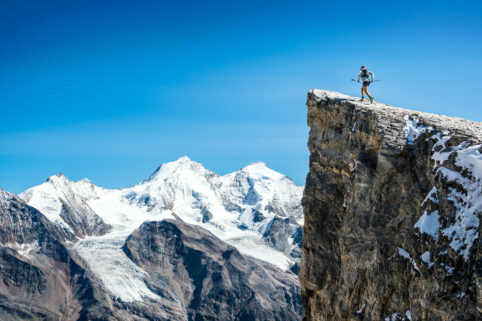 Learn more about the skills necessary to run Way Ups with ALPSinsight's Education pages for Mountain Running and Mountain Sport Fitness. There’s no food available en route, so stock up for a full day out. Be sure to stop by the Ponte dei Salti over the Verzasca River in Lavertezzo. A dip in the emerald water can be a great way to finish a hard day's run. 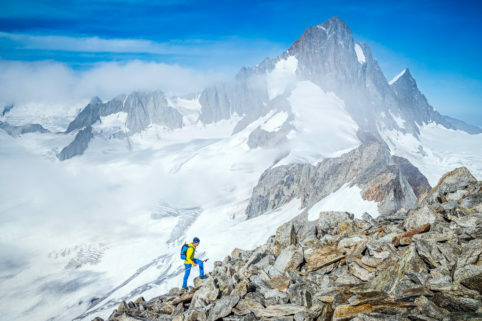 A 1000 meter climb follows breakfast and precedes a nearly 9km traverse. We ran counterclockwise, but recommend going the other way. There is a lot of trail running once the meters have been left below. 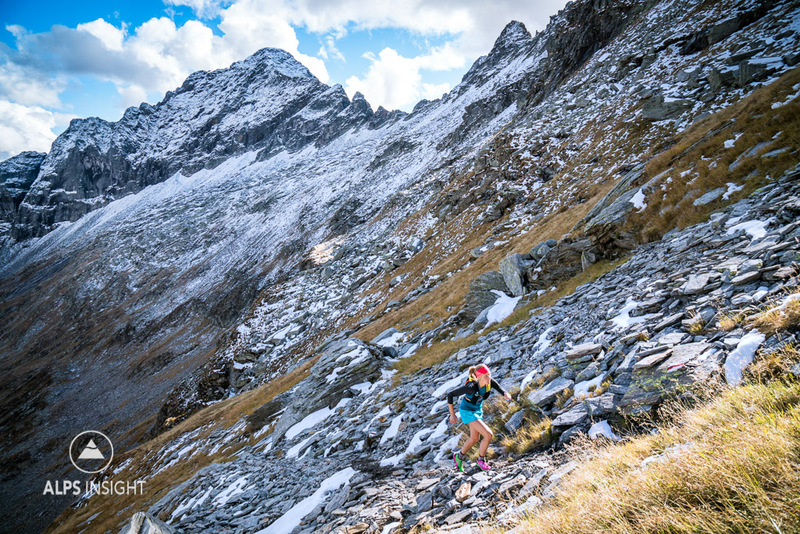 Kim getting into steeper terrain as she nears Monte Zucchero. The well named Monte Zucchero truly is one of the sweetest of them all. Kim pulling into the summit. First I should say that after completing the Via Alta Verzasca (awesome!) just two days before, my girlfriend and I started this trail run not fully recovered and rested. The second thing is that we did not include the top of Monte Zucchero. It would simply have been to much for us. We took the basic idea of this run and turned it in something we could run, which turned out to be about 25km with 1682m in altitude gain. The highest point was 1923m. We found the start of this run quite steep, and it stays that way for almost 400m. After that there is some nice, almost flat running, and than it’s steep ascending again. Until you reach a small “village” at about 1700m altitude. Here the terrain is more runnable again and we enjoyed the varying terrain, amazing views and solitude. A nice bench is the perfect place to have a break, eat something and enjoy the landscape. At the end of the long descend, you can make a small d-tour and get something to eat or drink in beautiful village of Sonogno. After this it’s easy running along the river to the starting point.